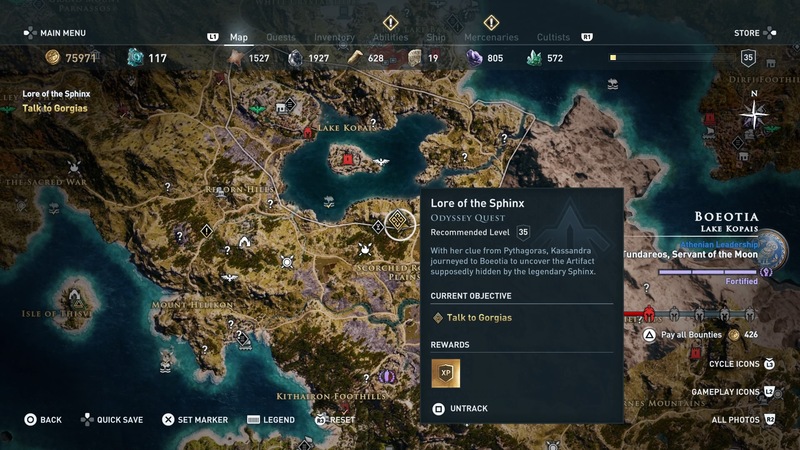 Assassin’s Creed Odyssey embraces the myth and legend of ancient Greece, expertly mixing the fantastical elements of the period with the series’ staple historical grounding. In one of the game’s best quest lines, the Misthios sets off in search of special artifacts to open the door to Atlantis, rubbing shoulders with some of the best known creatures of Greek mythology along the way. 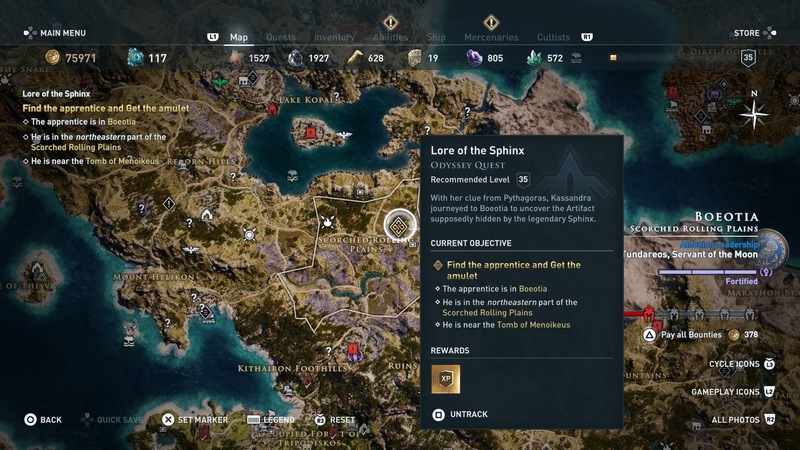 Here’s how to answer the Sphinx’s riddles, complete the Lore of the Sphinx and Awake the Myth quests, and claim one the artifacts for your own. From Thera, make your way north to Boeotia and speak to Gorgias at the First Civ ruins in the south of Lake Kopais. Lake Kopais is the large body of water towards the north of the area. 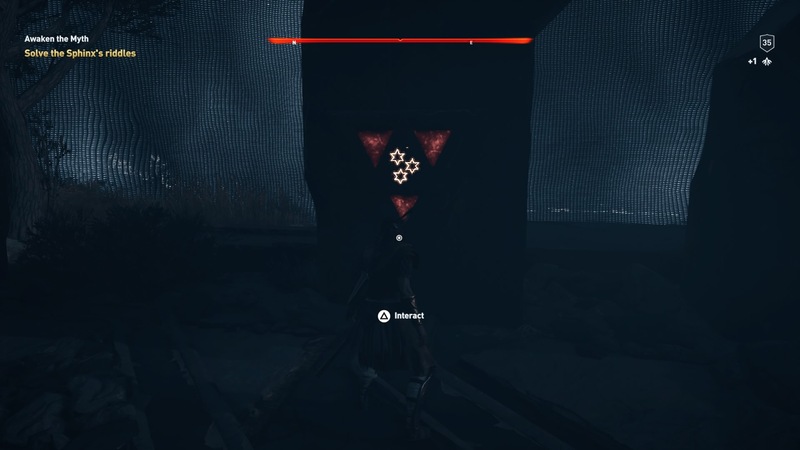 The ruins you’re going to aren’t marked on the map, so just walk along the southern shore of the lake until you get told to scout with Ikaros. Following a brief conversation, agree to help find the apprentice Pibos. He’s not too far away, so turn to the southeast and make your way to the Tomb of Menoikeus. It’s an Alpha Animal den, so kill the Elite lion to get the amulet out of its belly. The lion deals a lot of damage, but is itself quite vulnerable to damage – making ranged strong against it. Completing the medallion finishes this first quest and starts another: Awaken the Myth. First off, return to Gorgias at the ruins. When you realise things aren’t quite as you left them, interact with the plinth, before changing the time from day to night if necessary. We have a page on how to do this if you’ve forgotten. Once it’s nighttime, interact with the plinth again. This will put you face-to-face with the woman with the body of a lion and a snake for a tail: The Sphinx. You don’t have to give her the sass, just say that you need her artifact. She’ll agree, as long as you answer her questions. Now walk over to the symbols that surround the ruins and touch the Stars, Bird and Tree in that order. The stars are in the top right of the ruins, the hummingbird is in the top left, and the tree is just to the right of the stars. Finally, talk to the Sphinx again and claim the artifact. Completing the quest not only lands you what you came for, but also a Sphinx Figurehead for The Adrestia and the Mace of the Sphinx.